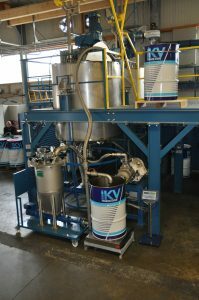 IKV Lubricants are a specialist lubrication manufacturer and with increased awareness within the food and pharmaceutical industries of food grade oil and silicone grease safety requirements production is at an all time high. Machinery used in the food and pharmaceutical industries require the use of specialist food safe lubricants. They must contain non-toxic, food grade, FDA approved ingredients and satisfy the regulations for non-food compounds used in food manufacturing plants. The TRIBOFOOD range of oils and greases are NSF-H1 registered for use in food processing environments and are widely used as lubricants in bakeries, food processing factories, food preparation, food packaging and food packing areas, and some are NSF-3H registered, for use as release or parting agents with direct food contact. TRIBOFOOD lubricants are also used in the manufacture of pharmaceutical products and pharmaceutical packaging being food and pharma approved.